Whether your dancer is looking to start a new challenge, keep their commitment light, or take their training to the next level, we have something for everyone! A combination of dance technique and acrobatic elements. Acro focuses on promoting flexibility, tumbling, strength, balance, contortion, and partner/group stunts. Each lesson involves training in gymnastic-style elements but is often put together with style and choreography. We are a fully accredited studio with certified ACC (Acrobatic Arts) and Acrobatique teachers. Ballet is the foundation of technique and balance for all styles of dance. Discipline and creativity are used to improve flexibility, strength, and proper positioning. Ballet technique is essential for improvement and appropriate advancement in other styles of dance as well. Offering various levels including pre-junior through advanced foundation, pre-pointe , and pointe. Ballet is incorporated into almost every class and is strongly encouraged for all ages by the staff and director at Springbank Dancers. Jazz is a strong technically based style of dance consisting of unique movements, body and musical awareness, intricate foot movements, leaps and turns. In order to excel in jazz, dancers are strongly recommended to have a background in ballet to improve strength and balance. For the 2018/19 Season, we will be offering Jazz Progressions (aka Technique), ADAPT (Exam) Syllabus Classes, and Jazz Style Classes! Dancers are encouraged to take all three. *Just as a friendly reminder, enrollment in a regular Ballet is required in order to take Jazz, and in order to enrol in Jazz Style, a dancer must also be enrolled in Jazz Progressions. Strong and powerful dance movements to Hip Hop and R&B music. Includes different styles of urban dance while increasing an understanding of various music beats and rhythms. Classes are designed to concentrate on choreography and memory, without limits to body movements. Hip Hop is energetic and perfect for those looking for an interactive and relaxed style of dance. Offering various levels including Junior to Advanced, for boys and girls of all ages. A collection of mixed styles derived from modern dance brought us both lyrical and contemporary. Recommended to help improve and enhance technique and control with influences from ballet, lyrical and jazz. Both disciplines explore challenging body positioning and emotions and is often seen as dramatic and interpretive. Both styles have such similar foundation work and with much overlap, so we want to give the dancers to opportunity to experience both, without having to take multiple classes. A form of dance that combines technique from jazz, ballet, and lyrical with song and music from stage/theatre performances. Musical Theatre is a fun, outgoing style that improves a dancer’s confidence and creativity throughout Broadway performance. All dancers involved in Musical Theatre classes are strongly encouraged to also participate in a technique class (such as ballet, jazz, lyrical, etc.). For our more recreational dancers age 10-13 who are interested in taking a more limited number of classes per week or for dancers who are new and would like to explore different options! Performance classes this season include Ballet and Jazz/Lyrical and are the perfect place for these "older" dancers to build a proper foundation without being in with the Pre-Junior students. Our Performance dancers are also strongly encouraged to participate in our Community Events and take advantage of the "Performance Package"! While many dancers cannot afford (with their other commitments) to add on an additional full-year class, they are often still looking for that push in the beginning of the season to improve their flexibility. Geared towards the dancer who is determined to make big advancements in their stretch, strength, and flexibility in a short period. The class will meet once a week until the February break and will focus on specifics, such as getting dancers into flat splits, improving hip & back flexibility, having strong back bridges, and practicing various leg holds and floor work. Dancers will be expected to have consistent attendance and utilize the "take-home" material that is provided. This class will also have guest teachers throughout the session! *As this class is an intensive, it is directed toward the hard working dancer, our competitors, or those in Acro wishing to add an additional class. Use of tapping footwear and precise foot movements in various patterns to create an audible form of theatrical dance with music and rhythm awareness. Recommended ballet or jazz experience for ankle strength and proper positioning. We offer a fantastic Fusion class specific to our teen recreational students. In this class, our Teens will get to experience an introduction to Ballet, Jazz, Lyrical/Contemporary, Acro, and Hip Hop! 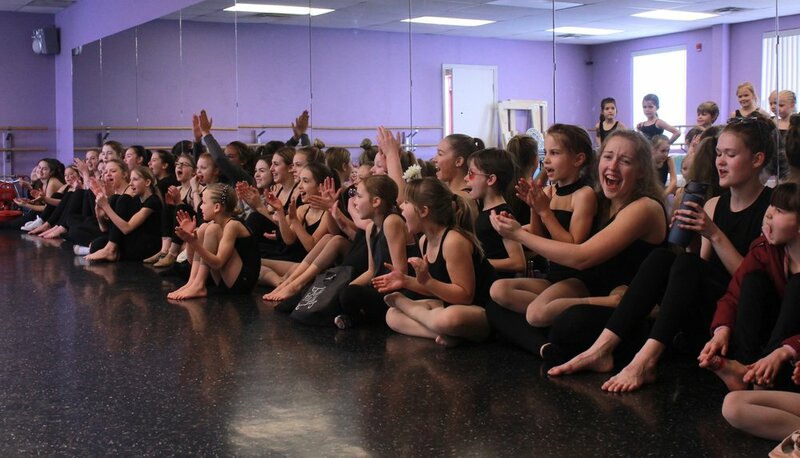 Each student will feel confident and comfortable to try new styles and elements in a safe and supportive environment! We are so excited to offer "Workshop" Classes within our schedule! Workshops will vary throughout the season and may include: Improv, Jumps & Turns, Musicality and Music Theory, Choreography, Core Strengthening, and more! *Please note: Workshops are geared toward the experienced dancer and not encourage if you're new to any technical style of dance. Our rates are based on program AND length of class as a full year lump sum amount, which can be broken down into monthly payments for your convenience. PLEASE NOTE: as further described in our Policies and Information, this lump sum amount is determined based on a minimum of 32 classes per year and not by the number of classes per month (some months or days of the week contain more or less classes than other; anything above the guaranteed 32 classes per year are seen as ‘complimentary’). If you're new to Springbank Dancers, please contact us to find out about our Exclusive Offers!!! Mission – to create more opportunity for our 7-9 year olds to experience and train in a variety of styles of dance, without the commitment of too many hours per week. Shortening the class lengths, and grouping classes together gives opportunity for families to find balance with their busy schedules, yet exposure to the core styles provide the proper training for future development and creation of well-rounded dancers. Mission – to create more opportunity for our less intensive dancers, who are not looking to compete, but purely to grow their training and build confidence through their dancing. 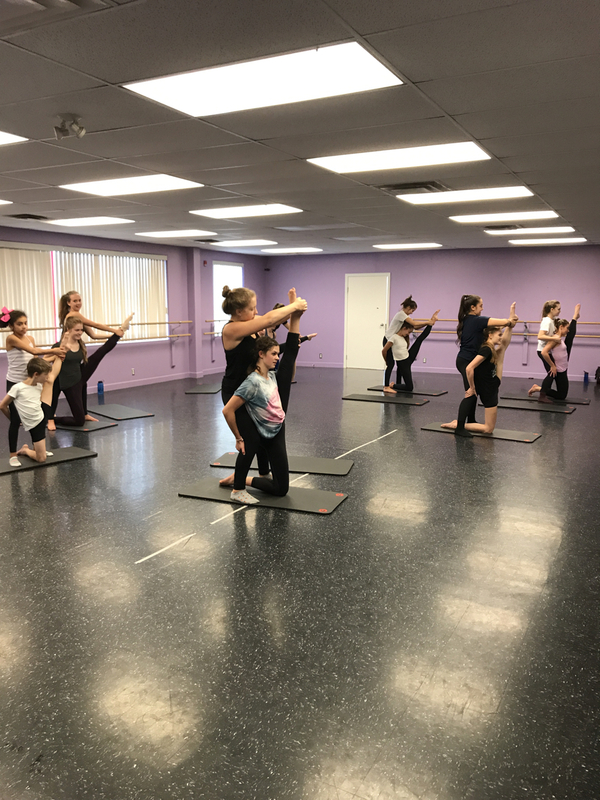 Classes included are specific to our “Performance” dancers so to create opportunity for proper development, appropriate levels of training, and the opportunity to feel comfortable to grow within more technical styles. Directed at dancers age 7+ looking to take 6 or more classes per week and really focus on their training and advancement. The majority of our Competitors (age 7+) should be taking advantage of this "Elite" Package! Opportunity to teach or assist at Pop-up classes! How do I know what level my dancer is in? Please check back soon for a copy of our "Required Attire for 2018/19" Handout. We do not allow parents to sit in the class but we do have viewing tv's in the lobby and welcome you to join us for Parent Viewing week that is held annually, two weeks before the Winter break. Is my dancer allowed to 'hang out' at the studio? YES! We love seeing our dancers spending time together and bonding at the studio while they aren't in class. Please note though, supervision is NOT provided outside of the class, but we do have two change rooms and a large lobby (with a Student Study area). Absolutely. Each class will have a costume and custom routine to perform in our annual recital. What is the cost of Recital Costumes? Juniors Classes (approx. age 7-9) - $80.00 per class. PreInter Classes (approx. age 10+) - $85.00 per class. Inter through Adv Classes (approx. age 13+) - $95.00 per class. Performance Classes (age 10-13) - $80.00 per class. Teen Classes (approx. age 14+) - $80.00 per class. We hold three different Recital Shows on Saturday June 15, 2019 at the Martha Cohen Theatre. Our 7+ students usually perform in the second and/or third show. Please send Miss Devon an email, and she will get back to you with answers to any of your questions. Thank you for your patience during this busy time of year!